Raw pet food: yea or nay? How do you feel about raw food for your dog or cat? Before I became a raw pet food believer, I was a little unsure. You hear so many negative things about it in the media—that it’s expensive, difficult to prepare, dangerous to humans and animals due to the risk of salmonella and other pathogens, that a lot of vets don’t recommend it and so on. But then, my beloved dog Dakota entered his golden years, and a host of medical issues began to creep up. Could changing his diet help? I liked the idea of switching him to a minimally processed food and was willing to try almost anything to improve his quality of life. Apparently, I’m not the only one with such a positive experience. In 2011 (the most recent year for which I can find figures), raw pet food sales totaled $100 million. 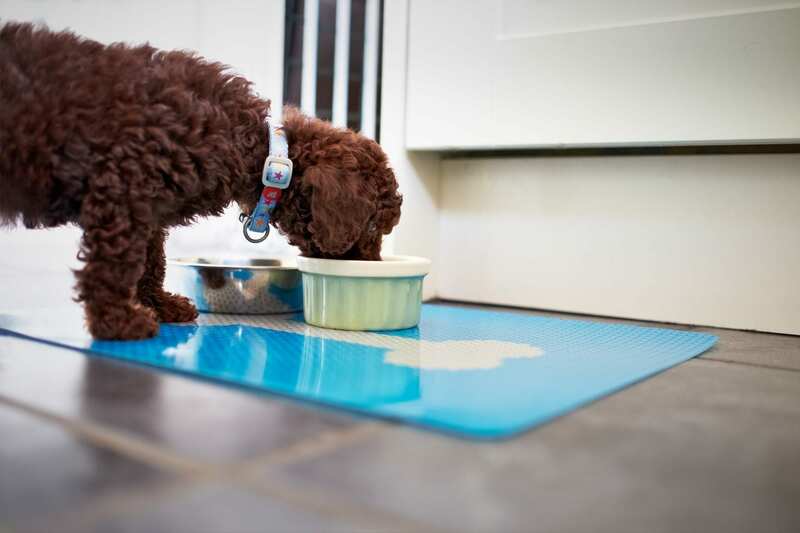 And in 2013, U.S. sales of raw and refrigerated pet food grew a healthy 25 percent. It’s no wonder why: Users often report improved health in their animals and fewer allergies. In 2012, Robert Mueller, vice president and raw pet food guru at BARF World, spoke at one of our SARA member meetings. (BARF stands for Biologically Appropriate Raw Food; the company sells frozen raw meat patties, supplements and treats for dogs and cats.) He was wonderful and had so much to say about raw food diets. Even BrightHaven, the holistic animal hospice where I teach my animal Reiki classes, feeds their cats and dogs a raw food diet using Feline Instincts. They’ve reported to me that people who are usually very allergic seem to do OK when visiting BrightHaven: amazing! I’ve heard good things about these raw food brands as well: Nature’s Variety and Stella & Chewy’s; both use high-pressure technology to prevent bacterial contamination, in case you are concerned about that. What about you? 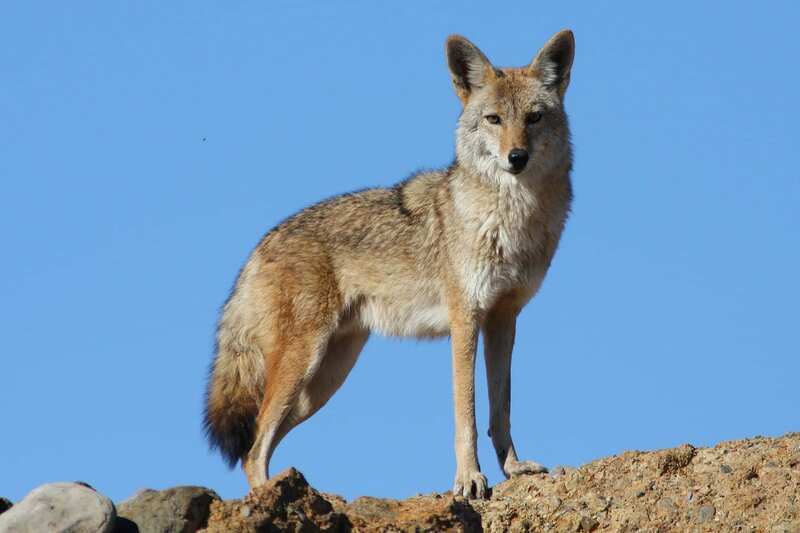 What are your thoughts and experiences regarding raw pet food? 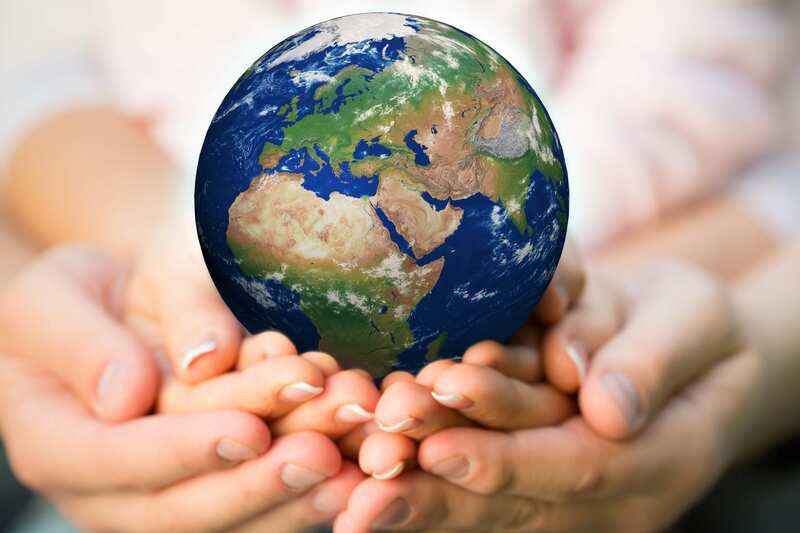 I was stunned recently to hear the following statistic: In order to survive, the United States will need 5.3 planet Earths if we continue using up natural resources at the rate we are now. In the UK, that number is 3.5 Earths, according to the World Wildlife Fund. If any of you have taken my sister Kathleen’s animal Reiki classes at BrightHaven Healing Arts Center for Animals, you may have actually had the opportunity to meet Richard—he’s also the co-founder, with his wife, Gail, of the holistic hospice/sanctuary for animals in Sebastopol, California. Bioregional is hoping to make sustainable living easy, attainable and attractive for everyone. They’re already starting: A 200-acre site in Rohnert Park, California, with 1,800 residential units and commercial space (including a business incubator for social and sustainable startups) is already underway. Richard is the development director for the site, called Sonoma Mountain Village. It’s also North America’s first fully certified One Planet Living Community—and has a waiting list 2,000 people long. But what does One Planet Living actually mean? According to Bioregional, it means to live sustainably according to the following 10 guiding principles (born from a collaboration with WWF): zero carbon, zero waste, sustainable transport, local and sustainable materials and food, sustainable water, culture and heritage, equity and fair trade, health and happiness, and natural habitats and wildlife. The issue of natural habitats and wildlife is particularly close to Kathleen’s heart and her work with Animal Reiki Source. And thankfully, Bioregional works hard to protect biodiversity. Under the guiding principles, if you harm a habitat by building a community, you have to regenerate that habitat and integrate it into the new environment. “It’s not just go in there and bulldoze the land,” says Richard. The ideal of One Planet Living sounds wonderful, but is it possible? “The inspiring thing is, once people have the opportunity to do it, they do it,” says Richard, adding that these communities are replicable. “If you say to someone, ‘You’ll have cheaper utility bills, your friends will love it, it’s within walking distance of your work and schools and restaurants, recreation, and you can save the world at the same time.’ Why wouldn’t you buy there?” These communities show it truly is possible to live in such a way that we only require one planet. Businesses and communities can take a step in the right direction by following the 10 principles and getting certified by Bioregional. For individuals like the rest of us, a good start is to calculate your environmental footprint (Bioregional provides this handy calculator) and make changes accordingly—for instance, eat local, recycle, protect animals, walk or bike if possible, and cease the use of heavy insecticides. And if you’re a jet-setter, you can buy carbon offsets so that flight to London is slightly less damaging to the environment. “There’s a change coming,” says Richard. “There’s going to be a great squeeze upwards in the next generation who demand to live in a lifestyle that doesn’t hurt the planet.” Just don’t expect the greening of America—and the world—to happen overnight. “I guess we’re the trailblazers,” he adds. “If we do this and show it’s successful, then everyone will start doing it.” One can only hope. Can a daily green smoothie transform your life? For me, the answer is a resounding yes! While going through radiation treatments a year ago for my second bout of cancer, I decided to completely overhaul my diet. Part of that meant getting more greens than I ever had before. The easiest way to do that? Blend ’em up into a tasty green smoothie. I’m feeling more energetic than ever and enjoying my new eating habits. But I’m not the only one realizing the raw power of a simple green smoothie. 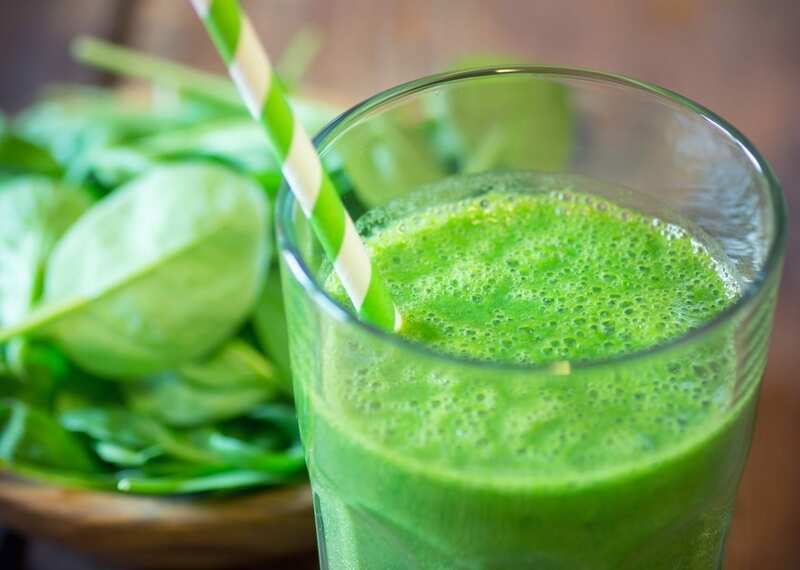 A 2014 documentary by author, entrepreneur and natural health aficionado Sergei Boutenko, called “Powered by Green Smoothies,” examined the effects of one quart of green smoothies per day on marathon runners and CrossFitters. The results? Nothing short of amazing: fewer aches and pains and speedier recovery times. Some have taken this idea even further: Can changing your diet change the world—and extend your life? The results of a study published last month in Nature support this idea, showing that unhealthy eating habits negatively impact not only a person’s health, but also the environment, stripping habitats and emitting greenhouse gases. Conversely, switching to a vegetarian, Mediterranean or Pescetarian diet is less damaging to the environment and (bonus!) can substantially increase your lifespan. Friends, what are your favorite recipes? Please share them here. I’m always looking for new ways to freshen up my rotation! Hello, Friday. I can’t believe the holidays are almost here. I’ll be spending the weekend finishing up some shopping and trying out a new gluten-free recipe: Hearty Vegan Minestrone Soup. What about you? 1. I’m really grateful for conservationists and their tireless work. Our world needs more of them, especially when you have so many animals facing extinction, such as polar bears (due to shrinking ice in the Arctic) and the American eel (from overfishing). Those are just two examples of animals vanishing from the wild, but surprisingly, now giraffes need saving, too. According to the Giraffe Conservation Foundation, the numbers of these gentle giants have dropped an alarming 40 percent in just 15 years. 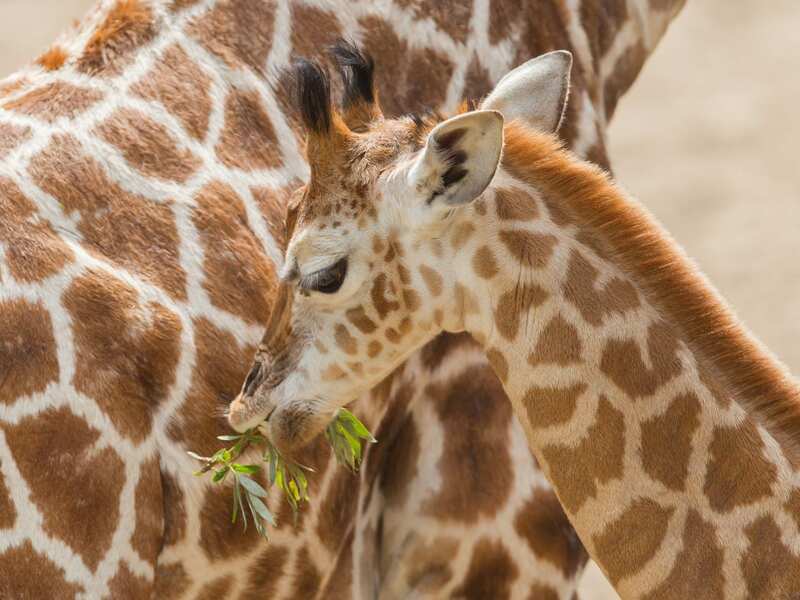 Scientists are working on the paperwork now to help giraffes make it onto the official endangered species listings. On a related note, 31 new species of animals recently gained special protection status by the United Nations (including polar bears), and plenty more should (like the beluga whale in Canada). 2. Singing dogs: When the news of the world gets me down, something simple like a funny animal video can make me smile. Check out this adorable Aussie shepherd puppy singing—yes, you read that right—“Let It Go” from the movie Frozen. 3. Gingerbread houses: Every year, my daughter Indigo and I, along with Grandma, construct beautiful, candied gingerbread houses. We’ve already made this year’s, but after seeing this article with construction tips from a pro, I’m excited to make next year’s gingerbread house extra elaborate. And how cool is this: Until January 4, you can dine inside a life-sized gingerbread house at one of the Great Wolf Lodge resorts and help a charity at the same time. 4. 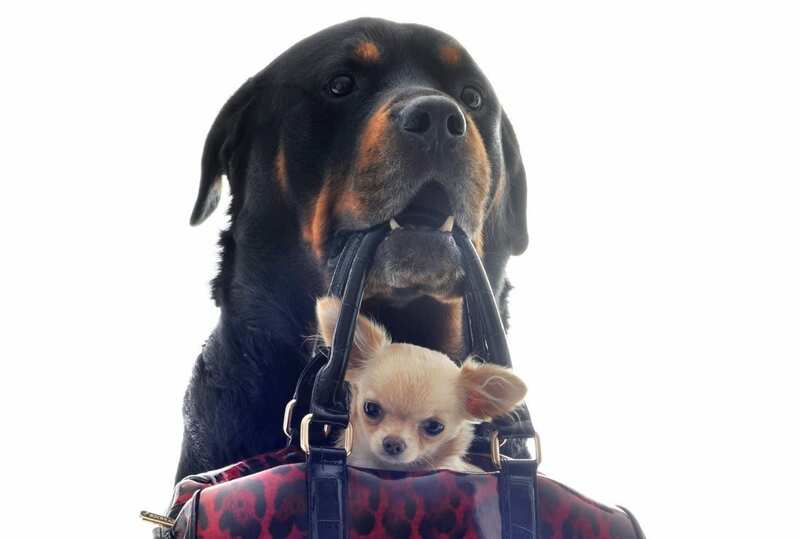 Howard Stern’s wife, Beth Stern, does a lot to help homeless animals and is a big supporter of the North Shore Animal League America animal rescue and adoption center in Port Washington, New York. Recently she wrote a children’s picture book about her rescued Persian cat, Yoda, and how his heart healed after taking care of a group of foster kittens. 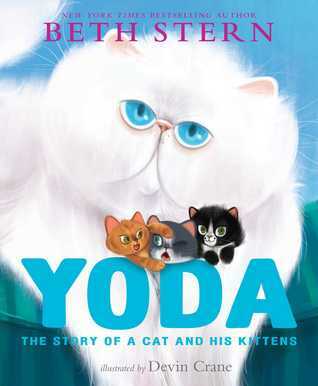 Yoda: The Story of a Cat and His Kittens is on sale now; 100 percent of the proceeds will support a special addition to NSALA: an innovative 14,000-square-foot, cage-free area for cats, kittens, dogs and puppies with outdoor habitats, a 24/7 nursery, grooming facilities, an adoption center and more. 5. I’m happy anytime I hear of another reason to love chocolate. This time, the decadent confection is apparently linked to improved memory. Bring on the Vosges bars and truffles! Dear friends, are you traveling anywhere fun this holiday season? While I’m staying close to home this month, I will be flying to Florida in the new year for my annual class at The C.A.R.E. Foundation. This year’s topic? “Mindfulness With Exotic Animals.” I can’t wait! 1. Sleep mask: Sometimes you just want to doze on the plane or tune out others around you. My go-to sleep mask is the Bucky 40 Blinks mask. It’s lightweight, super comfortable and designed so your lashes have room if you blink. 2. Remedies: I seem to get sick or worry that I’m getting sick half the time when I’m traveling. Oscillococcinum, Emergen-C or COLD-EEZE zinc lozenges give me a little peace of mind if I think I’m coming down with something. I also like to have some Advil on hand, just in case a headache strikes. 3. An awesome book you don’t want to put down: It’s sometimes hard to find the time to read, isn’t it? But when I’m on a flight, I feel I can finally fall into that book that’s been sitting on my nightstand for weeks. I highly recommend Eckhart Tolle’s A New Earth: Awakening Your Life’s Purpose if you haven’t read it yet. 4. Healthy snacks: Most airlines don’t sell snacks anymore—but if they do, they’re probably not healthy. So I like to bring a little stash to get me through to the other side. My go-to soy-free protein bar is from Vega One: Chocolate Coconut Cashew is the yummiest! Veggie sticks, nuts, dried fruit and granola are always good options, too. 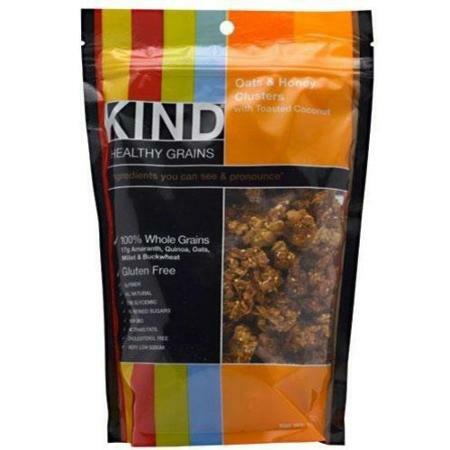 My absolute favorite granola is Love Crunch Dark Chocolate & Red Berries! 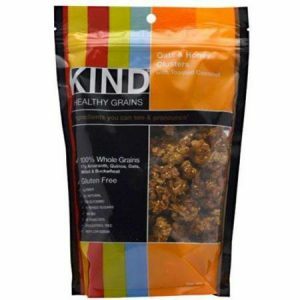 But these days I’m eating my second favorite, as it’s gluten-free: Kind Oats & Honey Clusters With Toasted Coconut. 5. My laptop: It’s got my favorite movies and music, and I’m set for hours. I just have to make sure the battery is fully charged. 6. Dramamine: Maybe it’s because I have such tiny ears, but I tend to get a bit woozy in planes. Rather than risk a motion-sickness headache, I just pop a Dramamine. Plus, it will help me get my nap in! 7. Tissues: You can’t predict when or why you will need a tissue, but you will. Bring a little travel pack with you or else you’ll be digging around the front seat pocket for that tiny square napkin you got with the drink service. 8. Lip balm: I don’t wear much makeup, but a dab of lip balm works wonders—especially in the ultra dry air inside the plane. My favorite is this one: Chocolate Whipstick by LUSH. 9. A bottle of water purchased after security: How many times has the drink service been delayed for one reason or another? I always bring my own now so I don’t panic or get parched while waiting for the turbulence (or an especially slow flight crew) to pass. 10. Gum: So you don’t have to wait until checking into your hotel room to feel minty clean. Friends, what are your carry-on bag essentials?